Mr. Gil West earned a bachelor’s degree in Mechanical Engineering from NCSU in 1984 and received his Master of Business Administration from National University in San Diego. Mr. Gil West is senior executive vice president and chief operating officer for Delta Air Lines. 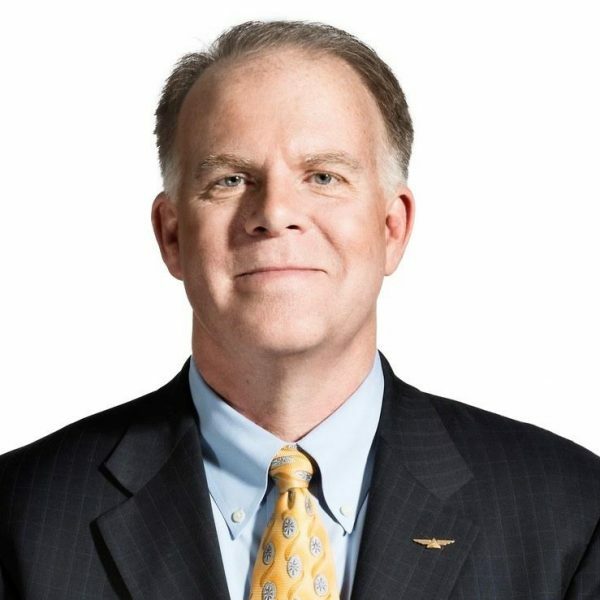 In his current position, Mr. West leads the team responsible for safe, reliable operations across the globe, including more than 70,000 employees in Airport Customer Service; Cargo; Corporate Safety, Security and Compliance; Delta Connection; DAL Global Services; Delta Material Services; Delta Private Jets; Fleet Strategy & Procurement; Flight Operations; In-Flight Service; Information Technology; Operations Analysis & Performance; Operations & Customer Center; Supply Chain Management; and Technical Operations. Joining Delta in March 2008, Mr. West led the Delta and Northwest merger integration and helped champion customer service and operational improvements which have resulted in consistent annual ranking improvements from the Department of Transportation. Prior to Delta, Mr. West worked for Laidlaw Transit Services as President and Chief Executive Officer and also held leadership roles at Northwest Airlines, United Airlines and The Boeing Company. He also currently serves on the board of the American Cancer Society.